MTV recently got the chance to chat with one of the stars of Ridley Scott's upcoming Prometheus, Michael Fassbender, while he was promoting Jane Eyre. The site asked him to clarify somewhat Prometheus's links to the Alien franchise and whether Prometheus is an "Alien" movie. 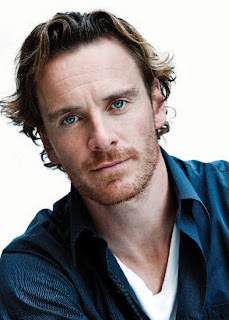 Fassbender stated: "Absolutely, There's a definite connecting vein. You realize you're part of something else. But it's definitely in keeping with the old ones." The Irish actor then said the new film is more closely related to Ridley Scott's original psychological thriller Alien, than James Cameron's blockbuster action sequel, Aliens. Hit the jump to check out more details. "Aliens. It is more sort of the original one," Fassbender explained. "There's things happening and building, and the intelligence of the first two-thirds of the film gets you ready for the action ... it's creeping, it's sinister, things are happening and building, all the different intrigues and politics going on between the different relationships onboard." Fassbender stated that while Prometheus fits squarely within "Alien" mythology, the film delivers "a whole new revelation." Nice. Fassbender is set to play "David", an Android in the upcoming film. I'm reading: RIDLEY SCOTT'S [PROMETHEUS] "HAS A DEFINITE CONNECTION TO ALIEN" MICHAEL FASSBENDERTweet this!